I just got back from a 12-day trip to Hungary and Ukraine, the bulk of which was spent visiting the church my wife and I planted in Eger, Hungary. This church was celebrating their 10 year anniversary, so I and my fellow pastor from White Fields Church went to celebrate with them at a weekend retreat where we did the teaching. We also had great times of fellowship with church members and were able to spend some quality and hopefully encouraging time with the church leadership. 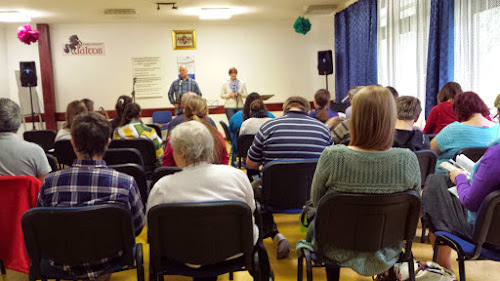 After Hungary we travelled to Ukraine, where we visited a church which White Fields partners with in the city of Svitlovodsk. It’s good to be back home and I look forward to writing more as time permits. In the mean time – I wanted to recommend a new blog, authored by one of the elders I serve with at White Fields: Shelby the Elder. Check him out, engage with him and leave him comments and encourage him to keep on writing!